Amazon appears to be on the cusp of announcing a pair of new streaming devices, with both capable of 4K resolution at 60 frames per second. According to a report on Monday from AFTVnews, one form is a dongle similar to the Google Chromecast. The second is a cube-shaped device with far-field microphones, a built-in speaker, and a LED indicator —granting the device the abilities of the Amazon Echo Dot. 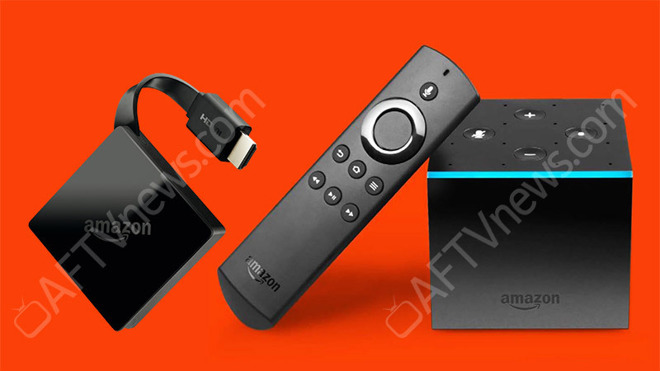 The Fire TV with the dongle form factor won't replace the existing Fire TV Stick, which will reportedly remain in the product lineup. It will be relatively unadorned, with only the HDMI plug, and a micro USB port for power. Previous leaks peg the processor in the device as the ARM Mali-450 MP. Performance on it is still less than either the first or second generations of the Fire TV streaming box. The higher-end cube-shaped device does not have a leaked benchmark, and as such, specific performance details are not known. The dongle form-factor device is expected to debut in September, and ship in October. AFTVnews predicts a selling price between $60 and $80. The higher end device is expected to be released before the end of 2017, and sell for more than $100. A new Apple TV with 4K support is expected at Tuesday's iPhone reveal event. According to the leaked iOS 11 build, users will need a stable 15Mbps connection to stream 4K, 60 frames-per-second content on the next-generation Apple TV. As of yet, the promised Amazon Prime Video app has not made an appearance on the Apple TV.